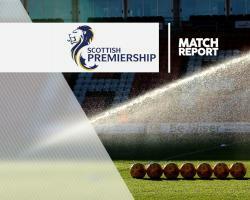 Former Rangers striker Kris Boyd caused his old side more early-season frustration as his goal helped Kilmarnock to a 1-1 Ladbrokes Premiership draw at Rugby Park. That means Celtic can overtake their rivals ahead of next month's Old Firm battle if they beat Aberdeen at Parkhead on Saturday. Lee Clark - still searching for the perfect Killie blend after making 15 summer signings - made another six changes for Gers' visit, with Gary Dicker, Greg Kiltie, Adam Frizzell, Jonathan Burn, Taylor and Dean Hawkshaw all recalled. The travelling Gers supporters disappointed not to see new signing Joe Garner in the starting line-up were only made to wait 15 minutes before the B#1.5million frontman was introduced for the injured Joe Dodoo. The former Preston poacher's first touch saw him lash wildly at a Barrie McKay corner, while he was high again as Harry Forrester picked him out soon after. However, his strike on 28 minutes was reminiscent of the days when he used to score on an almost weekly basis during his first Ibrox stint. Leaving Hill in his wake, Boyd turned back the years as drove past Wes Foderingham.